Amla is the primary ingredient in Chyawanprash. It is one of the richest and most stable sources of vitamin C in the world. It is also high in minerals and amino acids. It is grown by most families in India but there are also forest varieties. The fruit is anabolic, cleansing, and antidiarrhoeal. It is used for jaundice and other liver conditions as well as eye problems. Amla is protective against radiation,including that used in medical treatments. Most importantly, there is abundant research showing the anti-aging properties of amalaki. 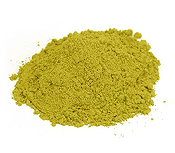 Ingredients: certified organic Emblica officinalis powder. Available also in 5# quantities. Bibhitaki is one of the three fruits in triphala and is the preferred herb for regulating kapha. This means it is used when there are kapha accumulations in the lungs, ears, sinuses, throat, liver, and urinary tract. It is astringent and therefore absorbs the excess moisture of kapha. It has some lesser known value for treating tropical conditions such as diarrhea, pulmonary eosinophilia, and allergic reactions, very likely parasitic in origin. Ingredients: certified organic Terminalia bellerica fruit powder. Hawthorn berries are a famous cardiotonic and vasodilator, but some might be surprised to see them listed on a site specializing in Ayurvedic herbs. They were introduced to the Himalayas by the British and do indeed grow in India, but not in the plains. This herb is contraindicated where there is low blood pressure but it can be considered by those needing more support for the heart muscle. 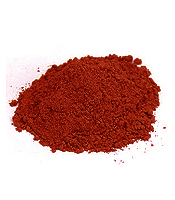 Ingredients: certified organic Crataegus laevigata berry powder. Triphala can be used daily to manage weight and promote healthy elimination, but it also has the unique ability to protect from radiation damage and should be considered prior to radiologic testing, air travel, or exposure to random radioactivity.